Last month, I briefly mentioned I’ve been working on my own range of sewing patterns. Hana Patterns is for home seamstresses who love effortless, minimalist style fashion. I’m very excited to announce that we are launching Hana Patterns this week! 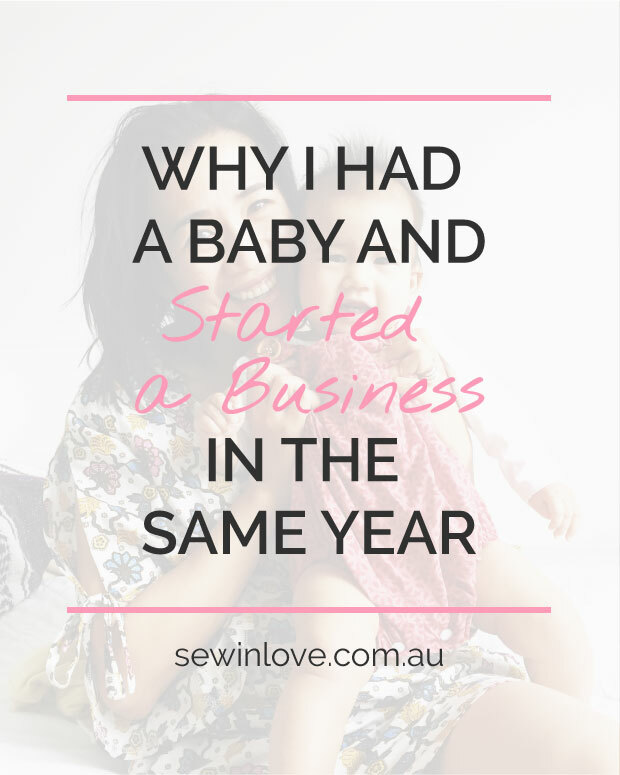 I want to share with you a bit of background on my journey to creating my first online business. You guys who have been supporting me throughout my blogging career are a huge part of this story, so I really hope this blog post explains the important role you have played. Sew in Love is now 6 years old! The Rin who started this little sewing blog has come a long way. Back in 2010, I was unhappy in my corporate marketing job and questioning my career choice. My monotonous day job made me crave a creative outlet, so I started making things with my hands. Dave (who was just my boyfriend at the time) being a web developer, suggested I start blogging about my creations. Being a “traditional” marketer, I was terrified about online publishing. Back then, all I knew was magazine and TV advertising: the online world was a complete mystery to me. 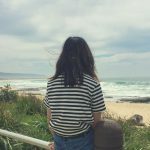 After many mistakes and reading countless articles on blogging, I eventually got the hang of it. My photography started to improve too (thank goodness), and it became clear that an international community full of creative and kind women (that’s you guys) was starting to form around Sew in Love. I became obsessed with the power of the internet, and changed careers to focus solely on digital marketing. Today, this little blog called Sew in Love has about 100,000 pageviews a month. Thank you guys for sticking with me all this time! 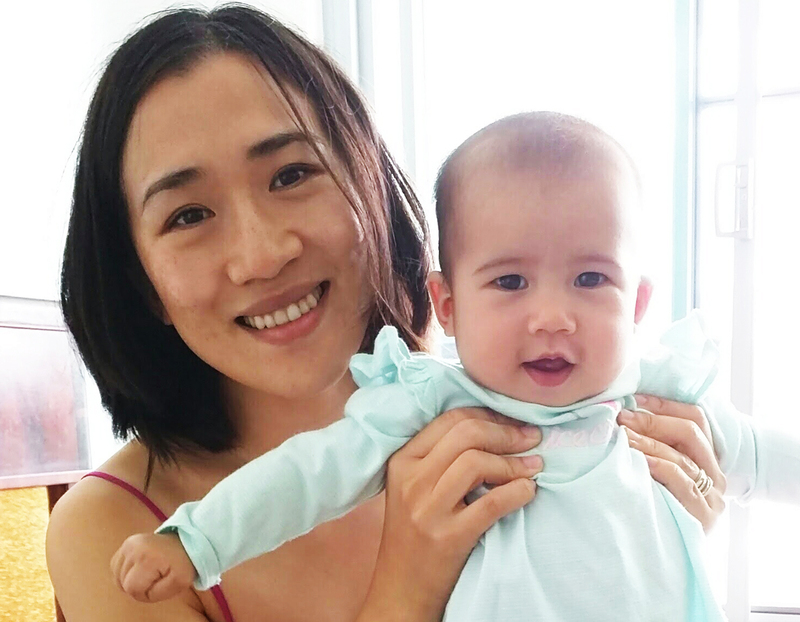 When I became pregnant, I was working for a tech start-up in San Francisco—pretty much a dream job for any aspiring digital marketer. 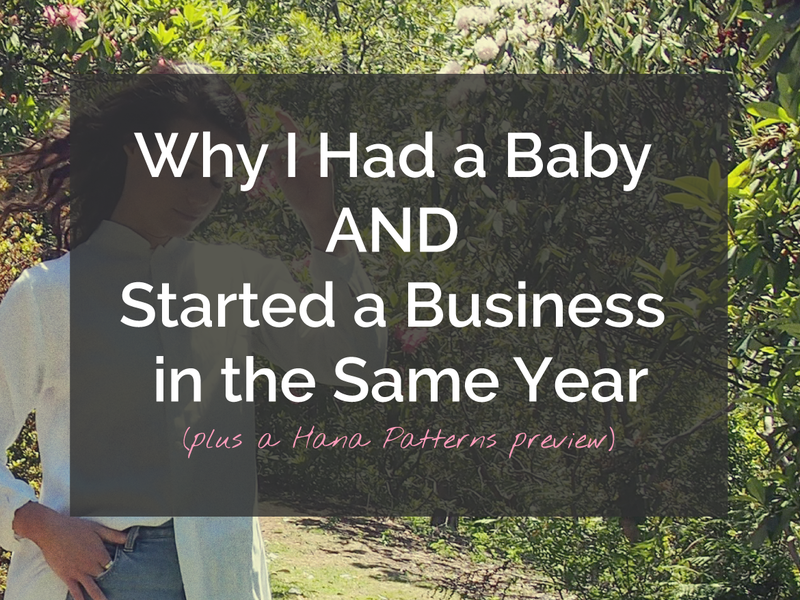 I was adamant to return to work as soon as possible post-baby and keep my “career on track”. In September 2015, I gave birth to our baby girl, Umi Ada. As soon as I had this tiny, helpless little being in my arms I knew there was NO WAY I could miss out on any part of her babyhood. The first years are so precious; you blink and your baby has changed. 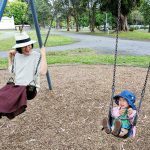 I wanted to remain the primary carer of Umi, but I also wanted to keep working. Basically I wanted it all! That’s when it occurred to me that perhaps, I could make blogging my job. That way, I can stay in touch with the latest in online know-how, whilst earning a bit of money. I’m still a long way from replacing the income I could make as a part-time marketer, but I’ve never been so passionate about work. I get to immerse myself in creativity for a living. And it gives me so much joy to know that my daughter is growing up watching me create things with her hands. As soon as my blog became my business, my focus for Sew in Love shifted. 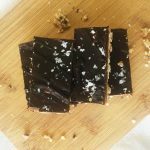 Before I just had a hobby blog, but now I wanted to create a destination for beautiful handmade inspiration. My free sewing patterns were getting increasingly popular, but it became apparent very quickly that I needed to produce patterns in a wide range of sizes. I needed to take it to the next level and start my own sewing pattern company. 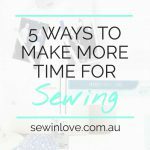 If you’ve been a Sew in Love subscriber for a year, you might remember the sewing patterns survey I sent out. You told me in this survey how much you love modern cuts of Japanese patterns, but how frustrating it is that it’s only available in small sizes. You also told me there’s way too many “vintage” style patterns out there and you never want to see another fit-and-flare dress again! I was absolutely thrilled that my readers were on the same page as me when it came to sewing and fashion sense. I’m not kidding when I say that we came up with the idea for Hana Patterns together. We love minimalist, no-fuss designs which are classic yet modern. Our dream outfit is effortless and chic but with a touch of quirk to show off our creative side. So here it is, a little preview of one of three sewing patterns I’ll be launching in the first Hana Patterns collection. 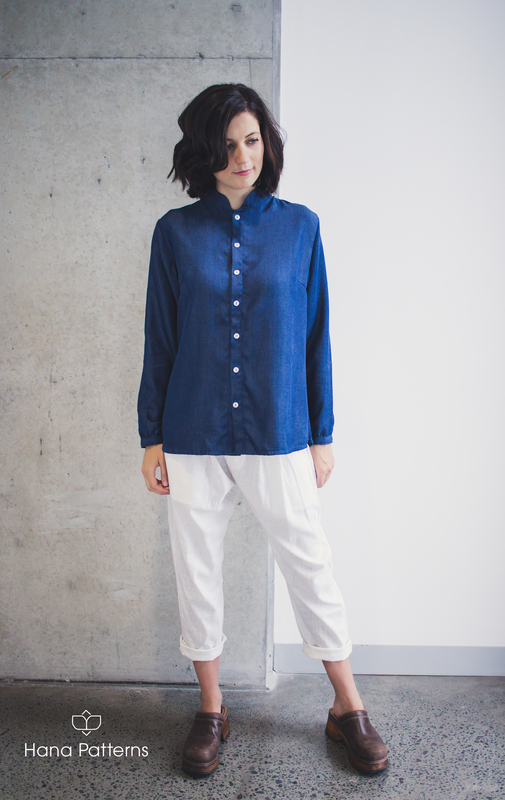 Haiku is a shirt dress with a mandarin collar and bracelet length sleeves. Wear it as a dress or layer it over pants as a tunic. 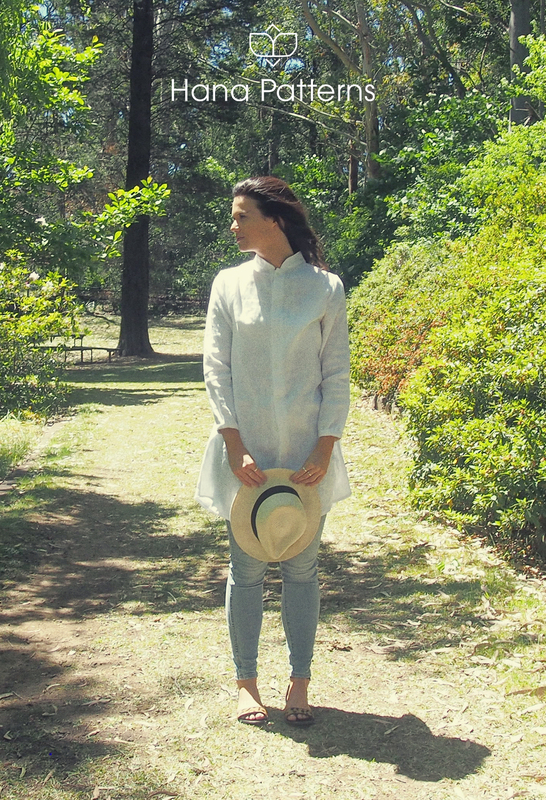 It’s beautiful in linen or elegantly casual in Tencel. You can shorten the hem to make a shirt as well. The Hana Patterns website is now open with a “coming soon” message. If you have a friend who you think might also love Hana Patterns, please please share this page with them. The address is simply www.hanapatterns.com. Finally, thank you for giving me the feedback, support and courage to start my own sewing pattern company. In the next few days, I’ll be sharing some behind-the-scenes photos from the very first Hana Patterns photoshoot on my Instagram and Facebook.